Mr. Dingeta used to work for the government; now he works for himself. Mr. Dingeta worked as a day labourer on a state farm in Ethiopia. Like many men in his situation, he struggled to make ends meet, often not having enough to adequately feed his family or send his children to school. Under the Food for the Hungry (FH) Child Focused Community Transformation (CFCT) program - a holistic approach to long-term development focused on the well-being of children as the core to community health - Mr. Dingeta and his family received livelihood training in agriculture. 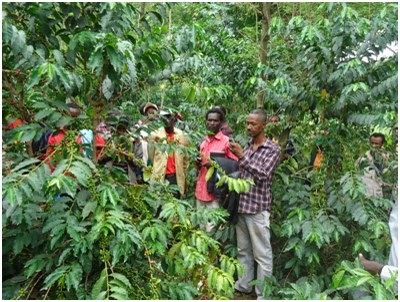 They also benefited from initial inputs like hand farming tools, improved fruit and vegetable seed, tree seedlings, and coffee bean seedlings. By applying the new techniques he learned and carefully stewarding his resources, Mr. Dingeta began to build up his own farm. The first step was to prepare organic fertilizer and mix it into the acidified and infertile soil of his fields. 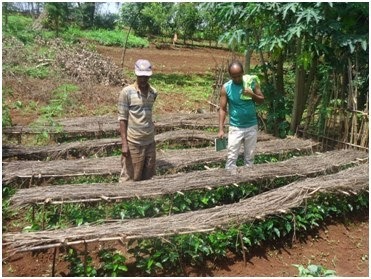 This process noticeably improved the texture and structure of the the soil, making his land potentially more productive. 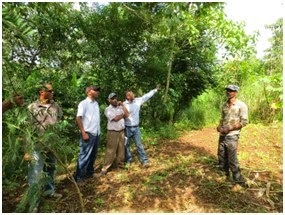 After just a short period of time, the compost dramatically improved the soil fertility on Mr. Dingeta’s land. 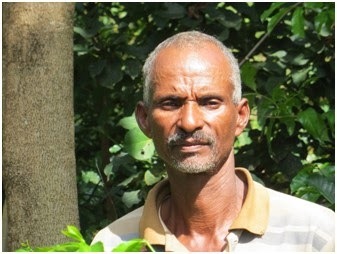 He is now able to grow enough crops to feed his family and is cultivating his own coffee nursery. 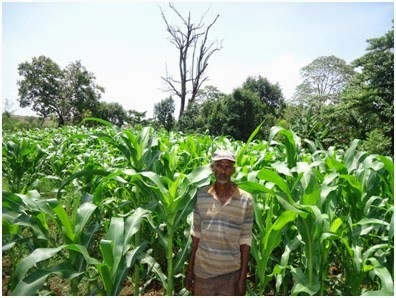 Instead of acquiring seedlings from a government nursery, as he used to do, Mr. Dingeta manages his own nursery and even sells seedlings to other local farmers. 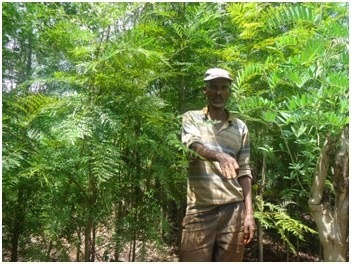 He also went on to plant a variety of multipurpose trees from which he generates additional income by selling timber for local construction purposes. 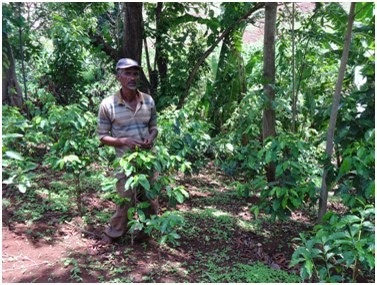 Mr. Dingeta’s trees are doing so well that he is even able to consistently provide enough firewood for his wife’s cookstove. While government grants and programs have their place, getting people like Mr. Dingeta off handouts and economically engaged with the private sector is one of the primary objectives of the Livelihood sector of FH CFCT programing. For example, by participating in Savings and Loans groups, developing communities take control of their finances and their futures - effectively forming neighbourhood credit unions where bank access is impractical or impossible. Income generating training equips men and women to provide for their families and gain independence from government subsidies and NGO freebees. Mothers in Bangladesh become professional seamstresses and farmers like Mr. Dingeta in Ethiopia feed their families and sell coffee beans. Encouraging and empowering successful entrepreneurship in the private sector is necessary for local economies to grow in a self-sustaining, self-perpetuating way. After all, Mr. Dingeta used to work for the government at an unsustainable wage; now he works for himself at a respectable profit that’s impacting his entire community.